Where are you based and what is your business? I am a one woman run small business working out of a garden workshop in Marchmont. 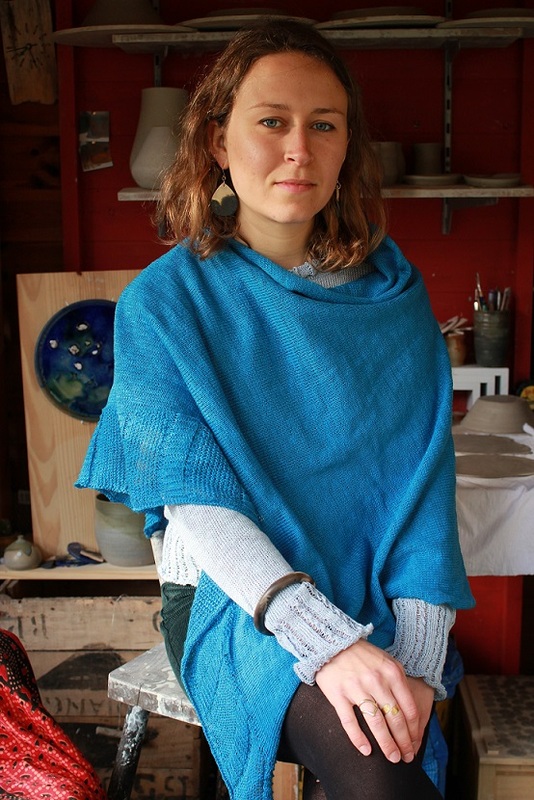 I design, make and sell stoneware pottery and contemporary ceramic jewellery. My pottery is all wheel thrown and ranges from minimal tableware to expressive vases. My jewellery is hand cut, individually painted and often finished with gold lustre which adds a beautiful sophisticated finish to the pieces. 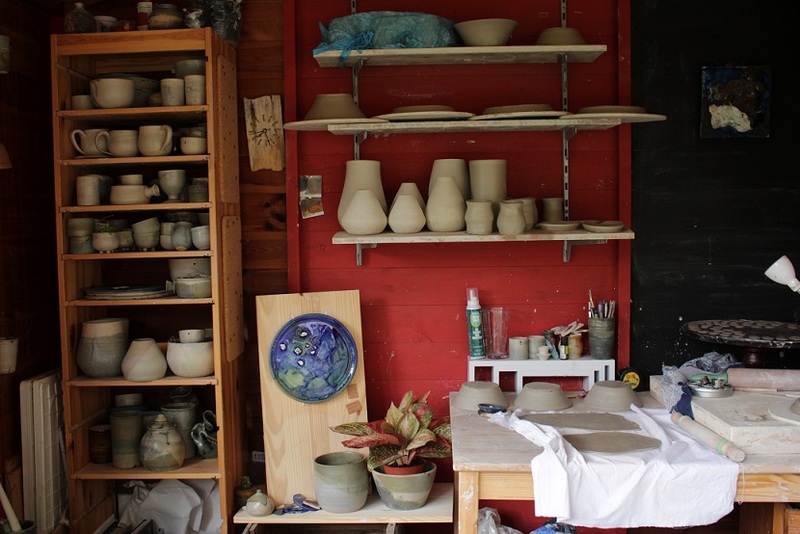 My inspirations vary from Scottish land and seascapes for colour and texture, Andean culture for jewellery shapes, Influential studio potter Hans Coper for form, Wabi Sabi Japanese philosophy for the process of making and the beauty in imperfection. Linen Cape in Royal Blue, Skerries Braidy and raindeer bracelet paired with a pair of Jays ceramic earings. How do you think small businesses benefit the community? Thinking small and local when you shop is vital as it helps maintain character and diversity in our communities, plus it means that bit by bit we’re filling our lives with unique handmade sustainable and beautiful things. What is it like being a small business? Any tips you could give to someone else? It’s very difficult to shut off from work when you have a wee business that is your livelihood, and there are so many niggly bits that crop up that you maybe haven’t considered. But I am able to live doing what I love doing.. plus I have an endless supply of pots and dangly earrings so that keeps me happy. I pretty much stumbled in to this whole business thing and am learning so much as I go. I still have a lot to get my head around for sure, but I’ve definitely learned that it’s good to find a balance between throwing yourself in without too much thought, and over thinking every minute little decision and spending hours perfecting things before acting. You can never do anything perfectly and we all have to start somewhere. I was maybe overly confident at the beginning, marching in to shops and galleries with shoe boxes full of my ceramics without an appointment and without the faintest idea of commission or sale/return systems. In hindsight I could have spent a little more time researching, but looking back I’m glad I had the confidence, or perhaps innocence, to get my work into shops and galleries. What are your favourite fairs or markets to visit? 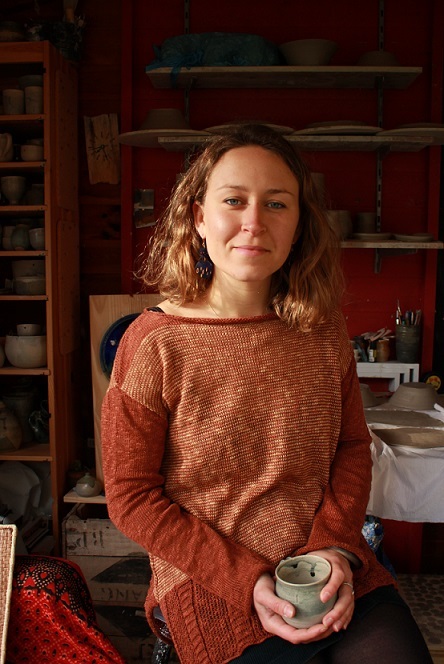 Pot Fest at Scone palace every June is a fantastic show for ceramics, it shows a huge variety of ways in which you can work with clay and is a great way to meet potters and buy directly from them. As for Edinburgh; 3D2D at St John’s supports makers from all over the UK and has some fab and very inspiring artists. I also love hanging out at The Food n’ Flea market at Sibbald walk.. They have the balance of food, good drink, local crafts, soaps and vintage wares just right. What are your favourite Bill Baber Knitwear pieces and how do you wear them? I love the Kelp top design, it’s a bit longer than your average jumper which I like. I would team it up with some jeans, boots and a chunky cardigan. 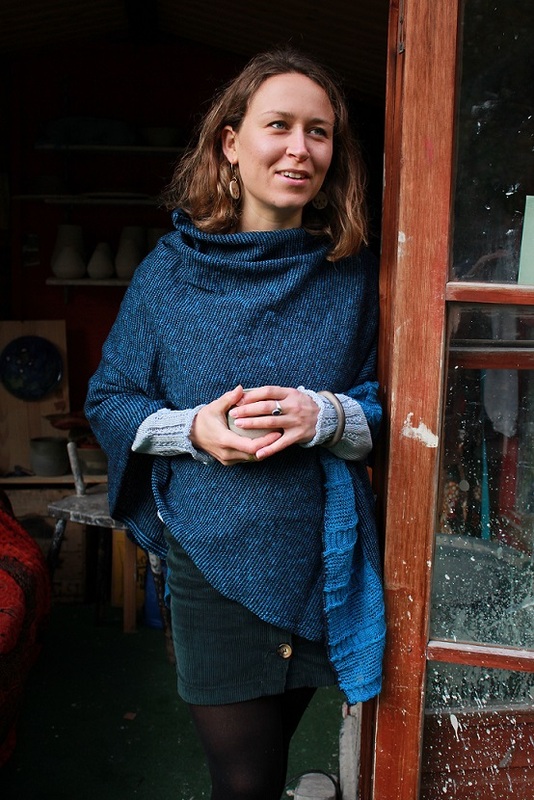 My next favourite is the Jura shawl in Natural or Oxford.. This would be a perfect workshop warmer for the cold months. In fact I’d probably not take it off all winter, I really feel the cold so I’d probably throw it on on top of a jacket and it would go nicely with all my dangle earrings!